What Are the Benefits of Buying a Used Ford F-150 with EcoBoost? AWD vs. 4WD: What’s the Difference? New vehicle pricing includes all offers and incentives. Tax, Title, and Tags not included in vehicle prices shown and must be paid by the purchaser. While great effort is made to ensure the accuracy of the information on this site, errors do occur so please verify information with a customer service rep. 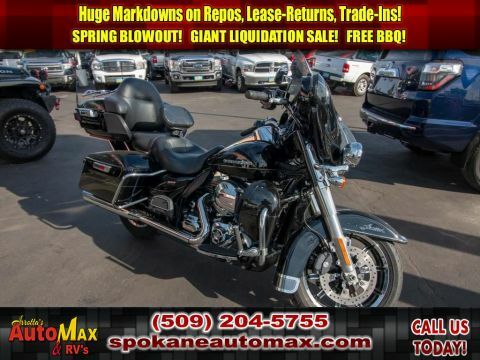 This is easily done by calling us at (509) 204-5755 or by visiting us at the dealership. **With approved credit. Terms may vary. Monthly payments are only estimates derived from the vehicle price with a 72 month term, 4.24% interest and 20% downpayment. ARROTTA’S AUTOMAX AND RV AND AUTO will never sell, share, or spam your mobile number. Standard text messaging rates may apply. 1. ASE Certified: ASE certifications are done on used vehicles with under 150,000 miles. All ASE Certified Vehicles are clearly marked. ASE Certified vehicles pass a 27 point safety inspection. Vehicles over 150,000 miles do not qualify for ASE Certification. a) 30 DMBG is a refund of the entire purchase price applied towards the purchase of another vehicle of equal or greater value at Arrotta’s Automax & RV’s within 30 days of the originally purchased day of the vehicle. b) Trade out into another vehicle will be subject to credit lender financing. d) Vehicle must be without mechanical or body damage and cannot exceed 1,500 miles within the 30 days of the original purchase. e) 30 DMBG does not apply to specific vehicles; example if a Corvette is purchased but the dealer does not have another Corvette of equal or greater value, the customer must be willing to accept a different type, make, model, year or type. 30 DMBG does not and will not apply to any R.V.’s; such as but not limited to: an RV, Travel Trailer, Class A, Class B or Class C.
f) 30 DMBG does not apply toward any negotiated deal. 3. Three Month, 3,000 Warranty: This warranty applies towards any ASE Certified vehicle. This warranty only applies to vehicles that are purchased under the listed sticker price (Negotiated priced vehicles are NOT eligible for this program). 4. Negotiated Priced Vehicle: This is any discount that is negotiated from the list price. Example: If a vehicle is selling for $19,995 and the customer negotiated the price down to $19,500, that is a negotiated price. 5. To take advantage of all benefits offered with Arrotta’s Automax & RV’s, the customer must pay the listed sticker price in order for the dealer to offer these premium services (as listed above). 6. Disclaimer: Financing is subject to credit approval. Prices exclude tax, title, license and documentation fee. All transactions are negotiable including price, trade allowance, interest rate (of which the dealer may retain a portion), term, and documentary service fee. Any agreement is subject to the execution of contract documents. Every reasonable effort is made to ensure the accuracy of this data. Please verify any information in question with a dealership sales representative. A dealer documentary service fee of up to $150 may be added to the sale price or capitalized cost. All special offers are subject to expiration on the close of the business the day offer was posted. Reduce your trips to the pump! This 2011 SUBARU LEGACY 3.6R LTD PWR MOON/NAVIGATION is one of the most fuel efficient vehicles in its class. This vehicle has a track record of being very tough and durable. This model is a great vehicle for families. This unit will stick to the ground on the sharpest of turns. With exceptional handling, you will enjoy every curve of your favorite roads. This mid-size car is an amazing performer and is sure to turn heads where you go. Has plenty of room for the whole family! That makes this model perfect for the long summer road trips. 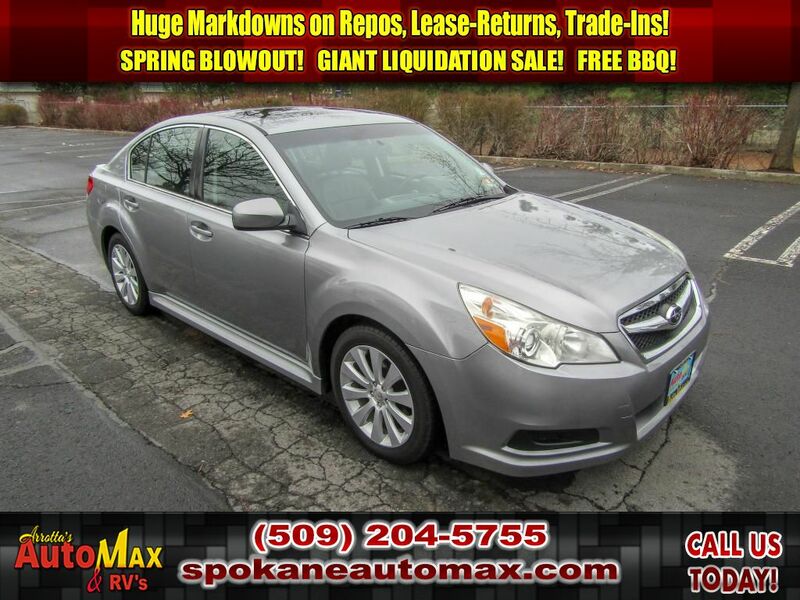 This 2011 Subaru Legacy is fully loaded with all equipment options. With these performance numbers, you won't be disappointed when you take it for a test drive. Be the first off the line with the quickness of this Subaru Legacy. It is fun to drive! This mid-size car is designed to handle any icy road condition that Mother Nature can throw at you. Your passengers will feel safe with stable braking and handling on all road conditions. 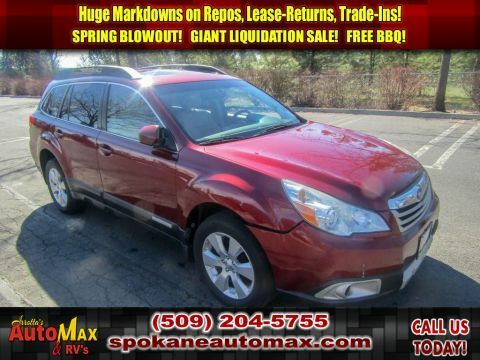 This 2011 Subaru Legacy is a versatile vehicle. This model has the durability you can depend on as the miles tick away. When it comes to any auto purchase, there is nothing more important than safety. this 2011 Subaru Legacy will protect you and your passengers with innovative safety features. The Legacy has dependability you can trust. This Subaru Legacy has a 3.6 Liter Flat 6 Cylinder Engine high output engine. This 2011 Subaru Legacy has an automatic transmission that includes a manual shifting mode. The vehicle is equipped with all-wheel drive. Enjoy the tried and true gasoline engine in this vehicle. It emanates grace with its stylish gray exterior. Anti-lock brakes will help you stop in an emergency. Icebox AC keeps this 2011 Subaru Legacy cool all summer long. This vehicle is accented with premium quality alloy wheels. Bring all your music with you along for the ride in this Subaru Legacy with its mp3 player aux input jack. Protect this mid-size car from unwanted accidents with a cutting edge backup camera system. Set the temperature exactly where you are most comfortable in it. The fan speed and temperature will automatically adjust to maintain your preferred zone climate. Easily set your speed in this 2011 Subaru Legacy with a state of the art cruise control system. Increase or decrease velocity with the touch of a button. It has fog lights for all weather conditions. This mid-size car has front airbags that will protect you and your passenger in the event of an accident. This mid-size car is equipped with front side curtain airbags. Bluetooth technology is built into this vehicle, keeping your hands on the steering wheel and your focus on the road. Enjoy the heated seats in this vehicle you will never buy a vehicle without them. Everyone loves the comfort of having a warm seat on those cold winter days. With the keyless entry system on the Legacy, you can pop the trunk without dropping your bags from the store. The leather seats in it are a must for buyers looking for comfort, durability, and style. A moon roof lets more light into this 2011 Subaru Legacy and makes the interior feel more spacious. You'll never again be lost in a crowded city or a country region with the navigation system on this 2011 Subaru Legacy. The vehicle comes with power adjustable seat to get your seat just right for you. Power seats are a must! Power windows are a must have modern convenience. Enjoy your music even more with the premium sound system in this unit. This mid-size car has satellite radio capabilities. The tilt steering wheel in this 2011 Subaru Legacy allows you to adjust the driving experience to fit you. The traction control system on the vehicle instantly senses tire slippage and executes minute power adjustments to maintain traction at all speeds. This vehicle is equipped with the latest generation of XM/Sirius Radio. This model is a rare vehicle and is hard to find. 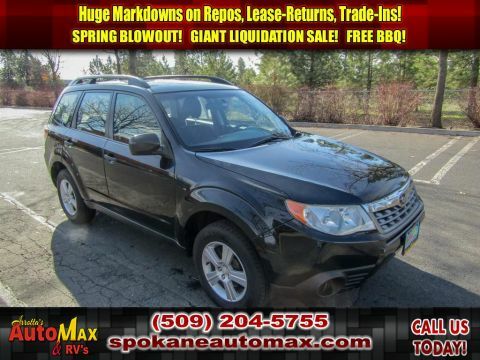 There are many car dealerships near you, but at Arrotta's Automax & RV, we offer quality used cars for sale in Spokane, Post falls, Coeur d’Alene, and surrounding areas. All of our vehicles are certified used vehicles in Washington and are thoroughly checked by an ASE-Certified technician, and must pass a rigorous 29-point inspection. Our simple no-haggle pricing policy makes the whole process a lot easier to buy a vehicle from our car dealers in Washington. Arrotta's Automax & RV	47.7181525, -117.4117541.